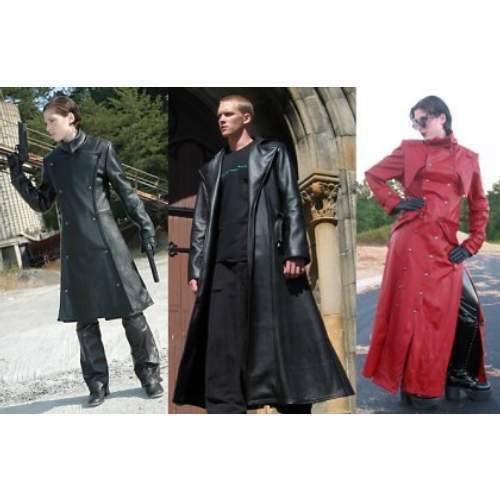 We offer qualitative range of Long Leather Coats that meets the specific and variegated requirements of our customers. The range offered varies from full leather to softer suede types and also includes shearling coats. These shearling coats are designed employing skins of lambs that are shorn only once. We specialize in customizing and offering these garments at cost effective prices. Leveraging on our experience and team of innovative designers in-house, we have been successful in manufacturing the best and high performance Leather Garments, Pants, Jackets, Skirts, Coats etc. We ensure that quality raw material like leather is procured from the renowned vendors in the industry. Every piece designed is unique in style and reflects the exquisite craftsmanship and artistic skill of our designers. Our products are available in distinct styles, unique designs, different sizes, patterns, attractive colors and stitches. In addition, we customize the products according to the personal taste and specifications of our customers. Our production unit is equipped with all the latest machines namely cutting, stitching, setting, buffing and polishing machines. These machines ensure precision designing of the high performance products. Our garments and accessories are acclaimed for fine finish, comfortable feel, light weight, skin friendly, color fastness and easily washable. The state-of-the-art infrastructural facilities and emphasis on quality have helped us to carve a niche in the industry. Moreover, we offer Leather Garments, Trousers, Skirts, Shorts, Coats etc. at cost effective prices and ensure that they are delivered within a stipulated time frame.